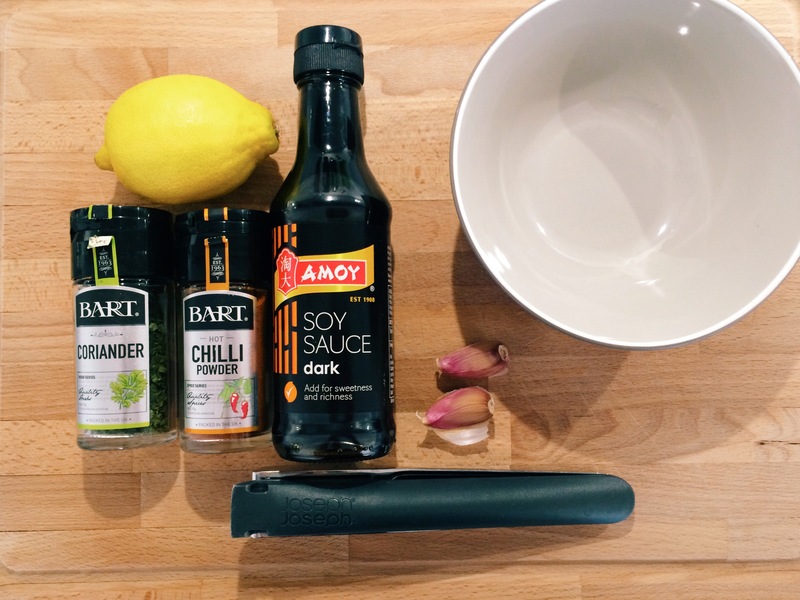 This delightful recipe of chilli lemon pork fillet came to my attention through Buzzfeed, so I thought I’d give it a whirl. The original recipe is here, below is my interpretation. Herbs, soy sauce, garlic, Joseph Joseph garlic crush, lemons. Crack on. Mix dry and liquid ingredients (not the coconut oil) together in a small bowl until well combined. Taste the marinade and adjust to your personal tastes (I added more honey, but I like the marinade to be sweeter and the honey provides a nice glossy glaze to the meat when it’s cooking). The point is, you can make it taste how you like, don’t blame me if my measurements are too sour, too hot, etc. This is your dinner, I’m just guiding you through. 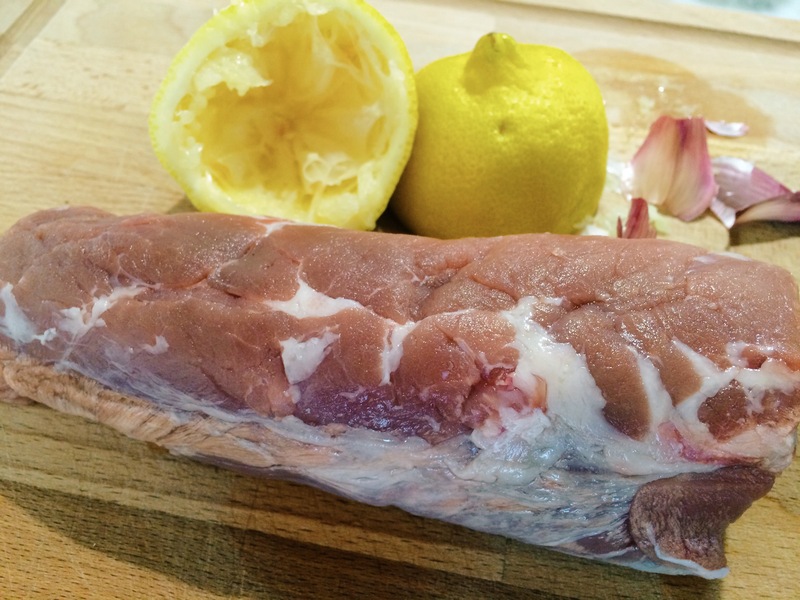 Pat the pork fillet dry and place in a ziplock bag, pour in the marinade and make sure the fillet is well coated. 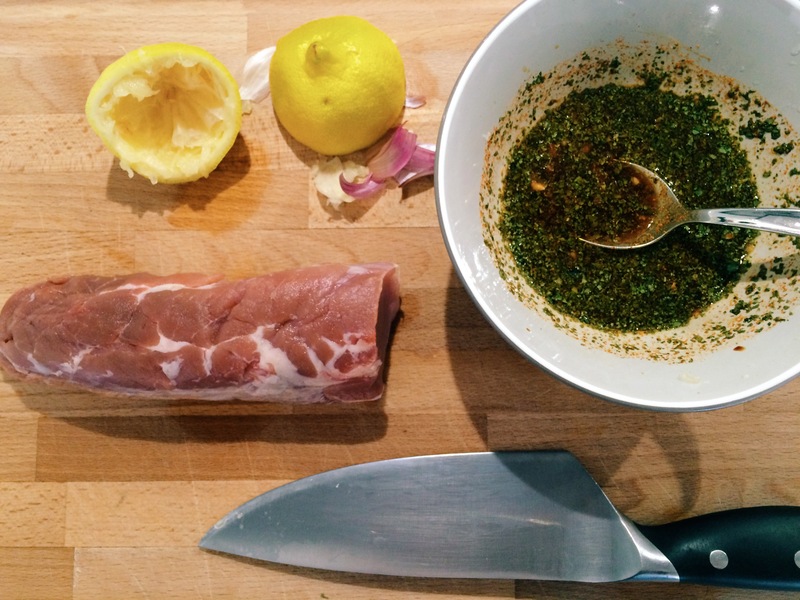 Leave the pork to marinate in the fridge for as long as you can, overnight ideally but a few hours is good too. Put two teaspoons of coconut oil in your frying pan and leave to heat up. I have an induction cooktop and I set the pan to 7.5 which gave the meal a good sear. Sear on all sides until you achieve a nice crust. Crust and smoke, this is what you want to see. Line a baking tray with foil (please don’t have a go at me about the dangers of aluminium, I don’t want to know. All I know is this saves Mr G&J from moaning over the washing up) and place your pork fillet in it. Pour over the cooking juices and stick in a pre-heated oven on 180 Celsius for 40 minutes or until juices run clear. To note, I take my pork well done and not pink, so if you’re of the (incorrect) opinion that pork should be served pink, crack on and reduce the cooking time. Have fun in A&E. 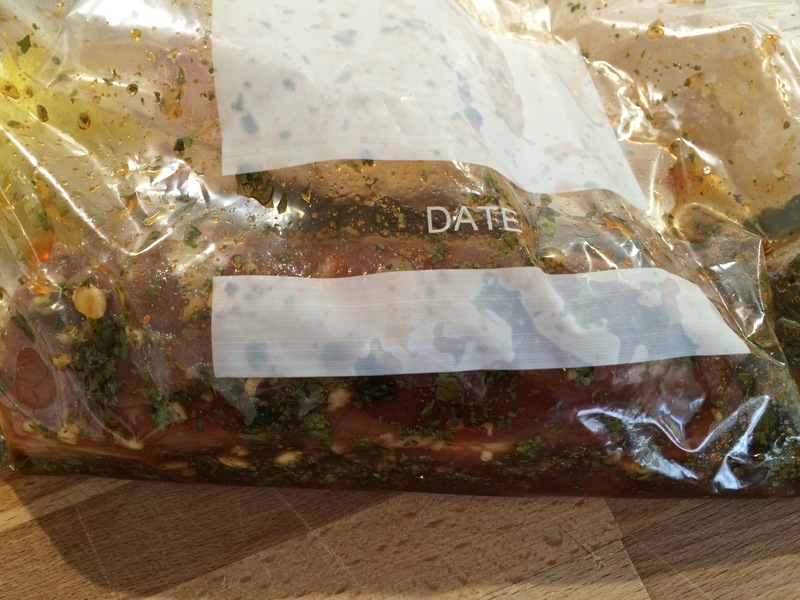 Halfway through the cooking time, use the marinade leftover in your ziplock bag to baste the fillet. 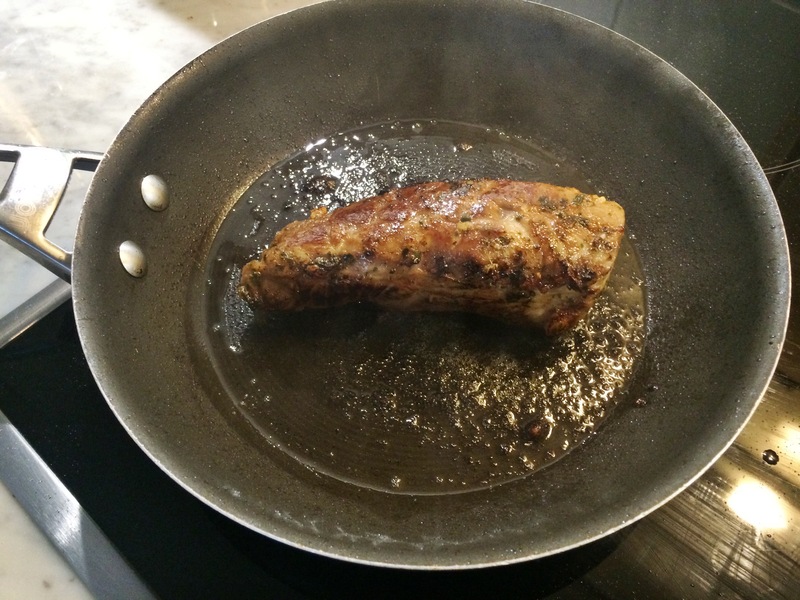 Once cooked to your liking, remove and allow the fillet to rest on a plate or carving board for 5-10 minutes. Slice into ½ centimetre thick slices and serve on a bed of wild rice, spinach and pine nuts. Spoon over any cooking juices left in the tin. Serves two hungry people. 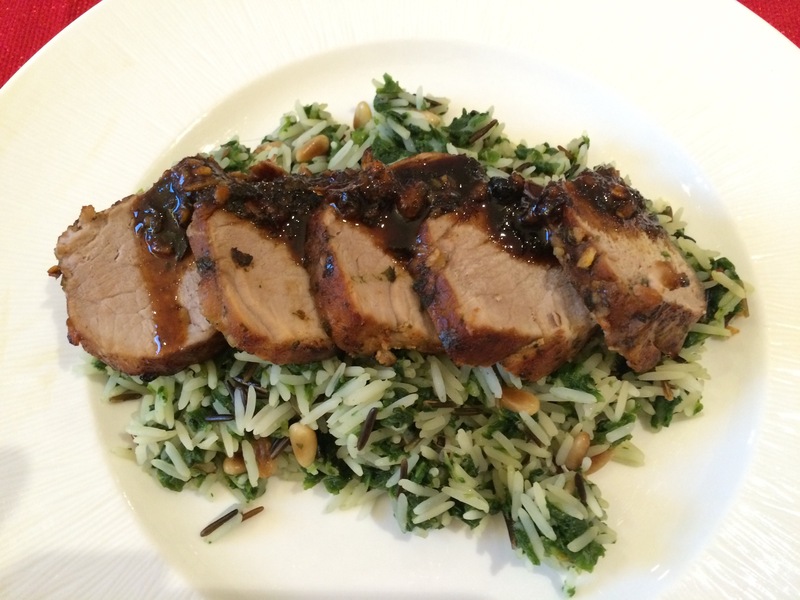 Enjoy your chilli lemon pork fillet! 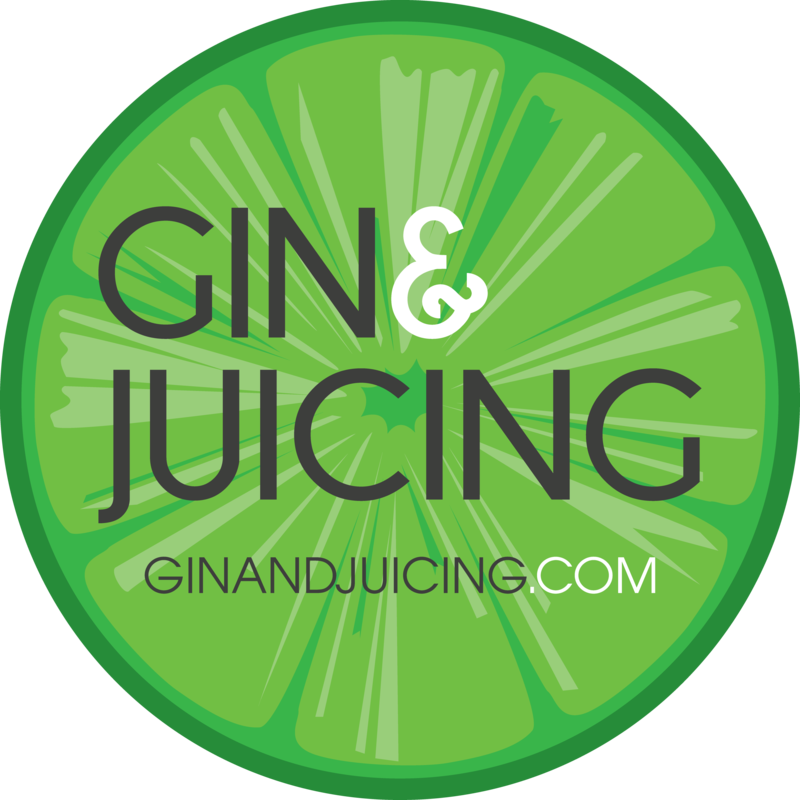 Love your blog Tiffany! Scrumptious looking recipe; must try it soon.